SAI Global, a leading provider of integrated risk management solutions, congratulates Sandvik Mining & Rock Technology on receiving the 2018 HSE Innovation Award administered by independent research firm, Verdantix. 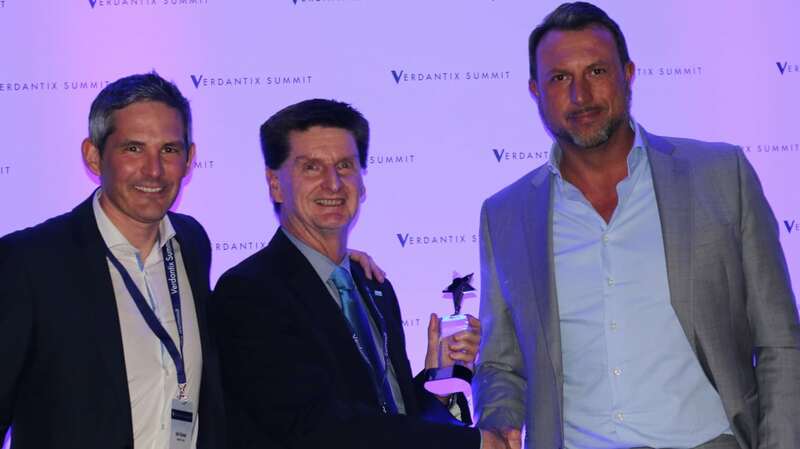 Presented at the Verdantix Summit in London yesterday, the award also recognized SAI Global as Sandvik's EHS technology partner. Sandvik Mining & Rock Technology, a leading supplier of equipment and tools, service and support for the mining industry that employs 15,000, adopted SAI Global's operational risk software in 2008 to address EHS management performance. SAI Global's operational risk management capabilities include reporting and analytics tools, which Sandvik leveraged to implement a standardized set of metrics to support monitoring of leading indicators. Ranked as a "Leader" by Verdantix in their 2017 Green Quadrant EHS Software, SAI Global helps organizations manage hazards and risks creating a proactive safety culture with an integrated approach that looks across the complete risk picture. This is a significant advantage for EHS teams working closely with other risk functions in their organizations. The Verdantix HSE Innovation Awards recognize the people and organizations instrumental in launching successful, innovative technologies that facilitate management of the HSE function to deliver impressive results. Award winners are selected by an independent jury of corporate HSE managers. SAI Global helps organizations proactively manage risk to create trust and achieve business excellence, growth, and sustainability. Our integrated risk management solutions are a combination of leading capabilities, services and advisory offerings that operate across the entire risk lifecycle allowing businesses to focus else ware. Together, these tools and knowledge enable clients to develop an integrated view of risk.